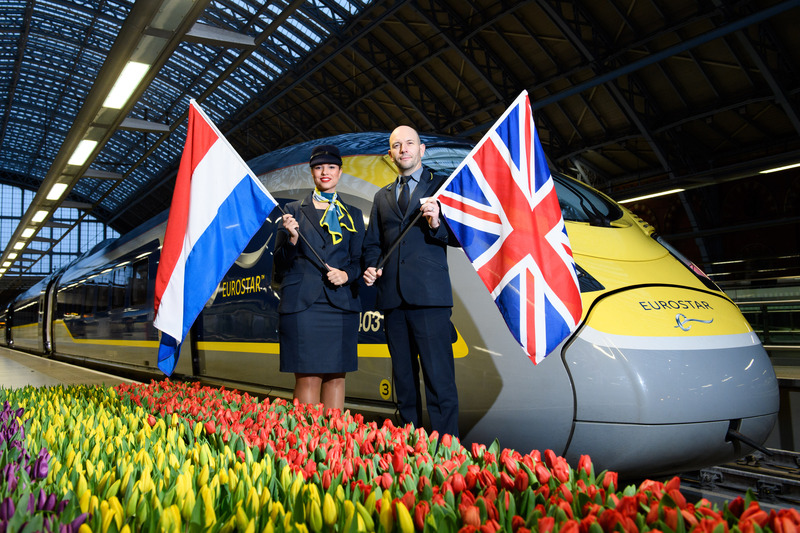 Eurostar, the high speed rail service linking the UK and mainland Europe, today marks an historic milestone in the expansion of international high speed rail as it embarks on its inaugural journey from the UK direct to The Netherlands. The inaugural service will depart from London St Pancras International at 08.31 this morning and tickets for the new route will go on sale from 4pm for travel from Wednesday 4th April. With highly competitive fares from just £35 one-way, a journey time of 3hr01 to Rotterdam and 3hr41 to Amsterdam, Eurostar will transform the connection between these key destinations, providing travellers with a compelling, environmentally friendly alternative to the airlines. After extensive preparation, including a comprehensive programme of testing on the Dutch high-speed network, and the building of Eurostar terminals in Rotterdam and Amsterdam, Eurostar will start its commercial service from 4th April with two trains a day departing at 08.31 and 17.31. With its seamless city centre to city centre offering, wifi connectivity and ample space to work or relax, Eurostar’s new service will provide passengers with a stylish, convenient route from the UK to the Netherlands and a transformed travel experience. In addition to revolutionising the cross Channel connection to The Netherlands, the new London-Amsterdam service also delivers a record new journey time for those passengers travelling on the London-Brussels section of the route. Going forward, these customers will see their journey time cut by 17 minutes as the time onboard is reduced from 2hr05 to 1hr48. 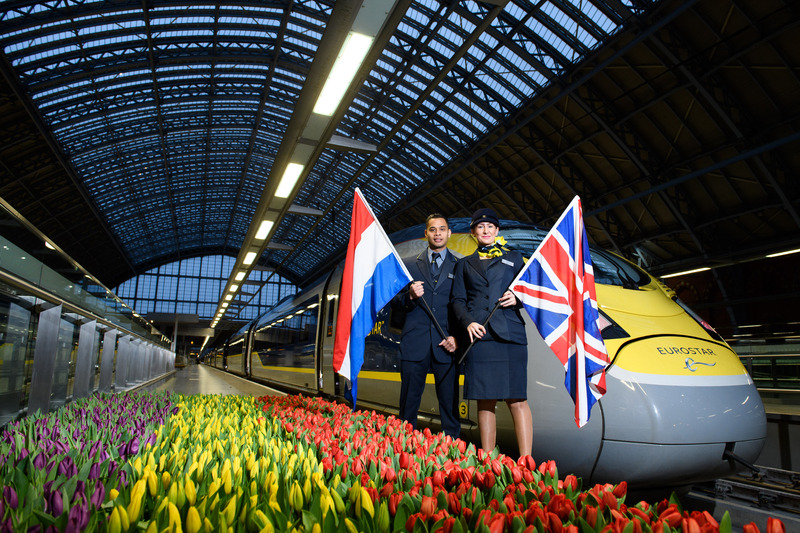 With the new Eurostar service between the UK and The Netherlands, passengers will travel direct from London to Amsterdam and Rotterdam and on the return journey will connect through Brussels where passport controls and security screening will be carried out. The governments have committed to putting this agreement in place by the end of 2019. 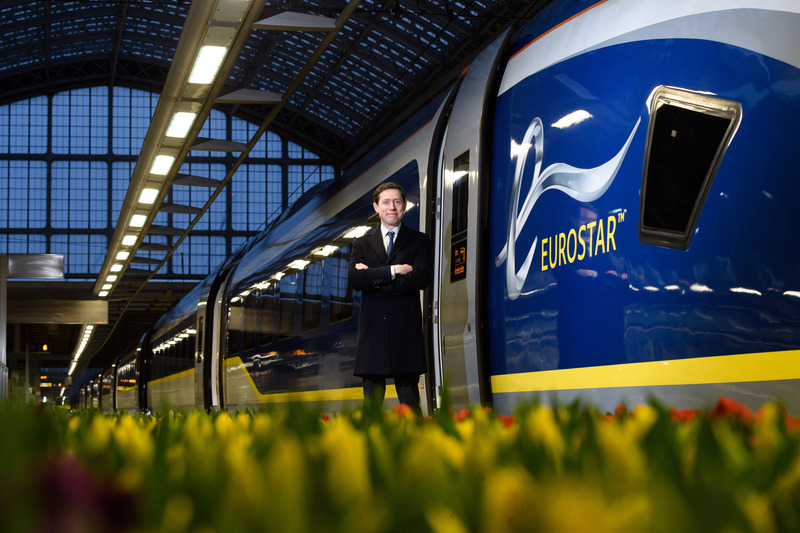 Eurostar is actively engaging with the governments on this matter so that Eurostar passengers travelling between the UK and The Netherlands will be able to enjoy a direct service in both directions.